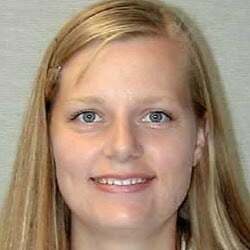 Nudging borrowers to make payments is a necessary part of the lending process. Sometimes a soft reminder works best. Other times may require a bit more cajoling. And each customer may be different. Some may prefer a phone call while others prefer texts or emails. Did you know we have implemented a way for you to track which method works the best (aside from Cousin Vinny and a Louisville Slugger)? 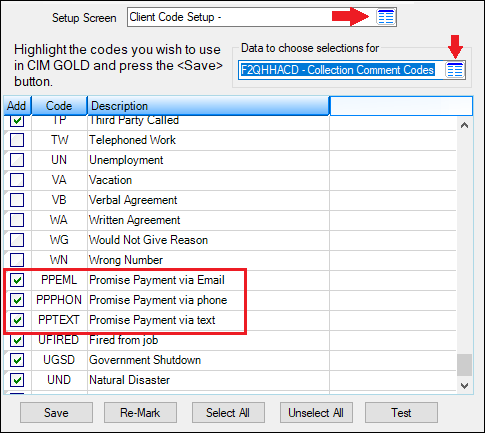 In CIM GOLD version 7.9.4 (to be released soon), you can now set up specific Collection Comment Codes that will help you track what types of Comment Codes have the best success. This new feature requires training your employees on which Comment Codes to use, as well as some setup on the system. Next, you need to use another setup screen to add those new comment codes to the Comment Code list box. 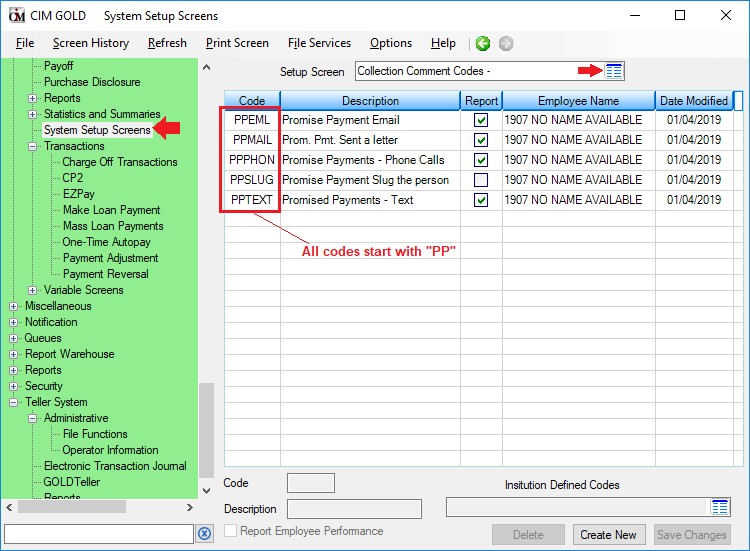 This is done through the Loans > System Setup Screens > Client Code Setup > Collection Comments Codes screen, as shown below. The user-defined codes come after the system-defined codes, so scroll to the bottom and check the Add box next to the new comment codes you created. Don’t forget to click <Save>. 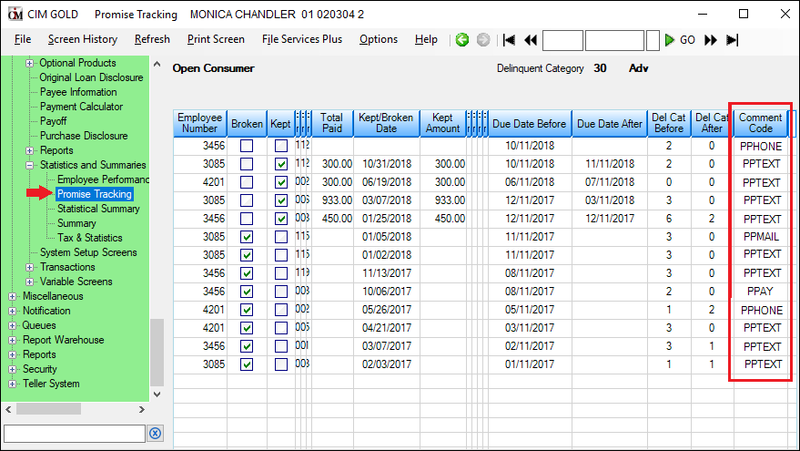 Then you need to instruct your employees and collectors that if they call, text, send an email, or send a letter to the customer who is late making their payment, they need to record it accordingly using one of the new PP Comment Codes on the Contact tab of the Marketing and Collections screen. They must also enter a follow-up date/time in the future. You can also run a GOLDMiner or GOLDWriter report to view which soliciting method is used the most, and which ones have the most success across your institution (not just by account). 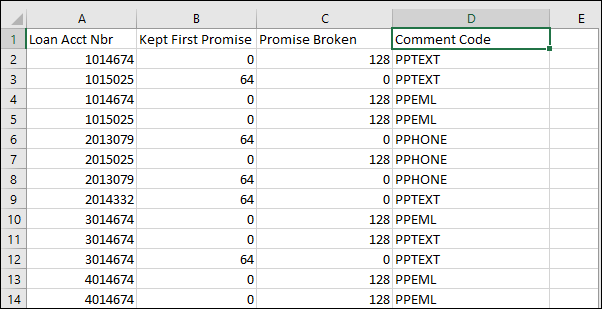 Use FPQP record (Promise Tracking) to build your report, and make sure the Comment Code field (mnemonic: QPHACD) is included. For more tips about using the Collection system to its full potential, see the Collection Comment Code help in DocsOnWeb. 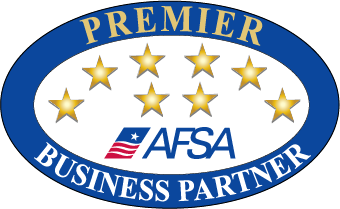 We have GOLDPoint Systems account managers ready to assist you today in helping you set up your Collection system to its full potential.